The possibility of creating your own modern home from scratch is often unacknowledged and overlooked. Modern architecture is varied, from organic to mid-century to industrial, so finding your preferred style can be an overwhelming task. However, with the help of the right team of professionals, this process can quickly become a fun and exciting project. The number of Boulder homeowners who choose to redesign and rebuild their homes into modern marvels is growing rapidly each year. With numerous resources to choose from, such as talented architects like Arch 11, skilled builders like Field West Construction, and creative interior designers such as Maren J. McKay, you can create the modern home you’ve been wishing for with minimal stress or worry. If you’re interested in exploring your options for designing and building your own modern home, browse through our Architects, Builders and Interiors referrals below. If, after reviewing our list of recommended design professionals, you still feel overwhelmed by the idea of taking on such a large project, there are a number of properties available in Boulder for those wishing to purchase a modern home. 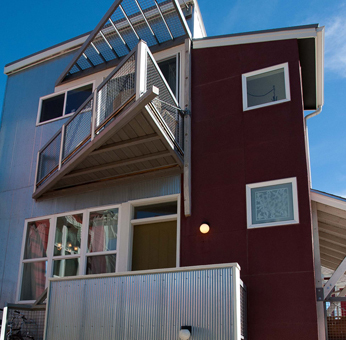 For more information on modern homes that are currently available in Boulder, visit our Find Modern page.